My name is Akua Konadu and I am a brand new blogger and Social Media Strategist. It has been my dream for the past year to launch my own business through blogging, and coaching services. 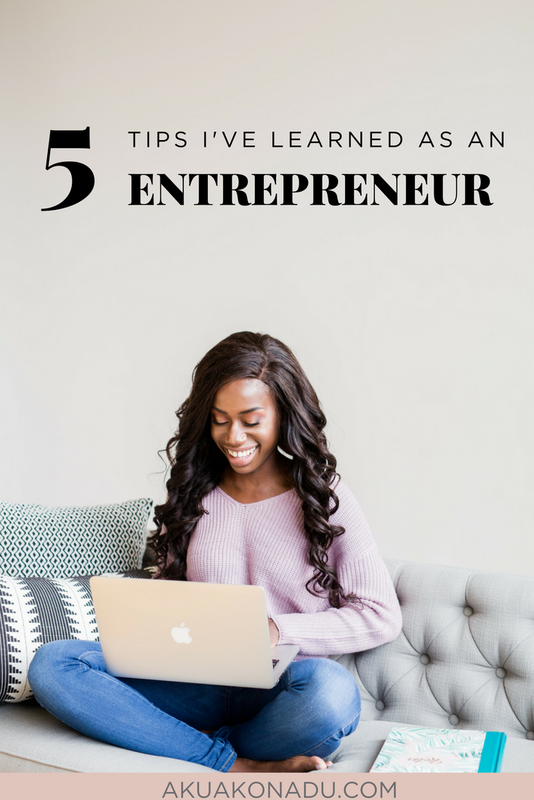 As a new entrepreneur here are five things I've learned while building my business. · I am sure you have heard this statement time and time again but it’s for a good reason. Knowing your why is very crucial when wanting to start your own business. It is what compels you to get up and achieve your goals. For example, I wanted to start my business because I love serving people. I find it a privilege when a client trusts me enough to be a part of their journey in accomplishing their goals. Being able to play a small part in their story encourages me to continue to find new and innovative ways to serve my audience. Your why also helps you make vital decisions regarding your business a lot easier when you remember your values and your purpose. It also helps when things begin to get tough. When you are in the trenches it is easy to lose sight as to why you wanted to start in the first place. Keeping your why front and center gives us that resiliency by forcing us to look deep inside ourselves and work through those trials. 2. Don’t let Perfectionism get in the way of starting your business. Just start! · Truth: I am a recovering perfectionist. One of my biggest obstacles I had to overcome was to stop waiting for the perfect circumstances to start my business. I would constantly make various excuses like waiting until I get certain things in order first like the right amount of money and time. Another major thing I would do is allow contentment to get in the way. If things in my life were going well I would think why rock the boat. In all reality do not wait for the right opportunity to come along, but use the opportunities you currently have in front of you to start. Those opportunities which may not seem perfect can propel you to accomplish your goals and dreams. Use what you have in front of you by taking action. It is better than taking no action at all. 3. Step out of your comfort zone and connect with people. · This was the hardest for me because I am naturally an introvert. When I decided that this was something I really wanted to do I stepped out of my comfort zone and went to a women’s creative group in my area. Any introverts out there you know this is our worst nightmare! To go to a social event by yourself to meet new people was definitely not my ideal situation. I am happy to report that I am alive and well after that little endeavor, and it was one of the best decisions I had ever made. I met so many wonderful women who were so welcoming, and supportive of my dreams. It didn’t matter that I was just starting out, nobody judged me in fact people were willing to offer advice and encouragement which gave me the confidence to move forward. · One of the reasons why I am so thankful for immersing myself in community is because I now have an accountability partner. I was able to find my accountability partner though a group called Twin Cities Collective for Bloggers and Creatives. The creator Jenna Redfield was able to match each person based on their needs. I was matched with Josey Stafford of Sixpence Events and let me tell you working with her has been a huge game changer for me. Having her by my side to celebrate every milestone in my business makes me feel like I don’t have to go through this journey alone. It feels good to have somebody in your corner to motivate you, encourage you, and most importantly hold you accountable. When looking for an accountability partner make sure it is one who understands you, your goals, and vice versa. That way both of you can continue to challenge each other to make moves, grow as a person, and as a business owner. 5. Stay in your own lane. · Don’t let the weight of comparison and competition get in the way of the goals you want to accomplish with your business. 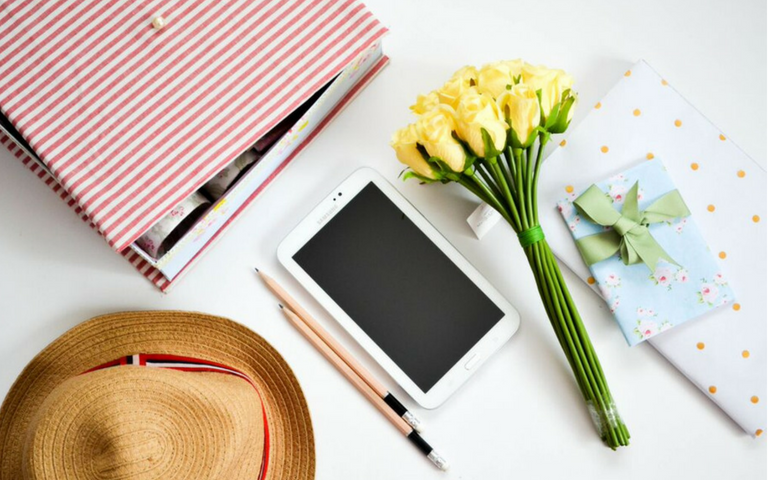 When I started exploring my creativity and wanting to get into the world of blogging and social media, I immediately felt intimidated by more established and successful bloggers. I began comparing myself to them and thinking I have nothing to offer my audience and future potential clients. This was completely false, I allowed my insecurities to come through which began to affect me and the progress of my business. It is easy to forgot that everybody we come across is walking their own journey, and we are all at different stages in our life. Once I realized that I began working on ways to better and value myself by focusing on what makes me unique. Instead of worrying about what everybody else is doing focus on you, and be supportive of others and their achievements.